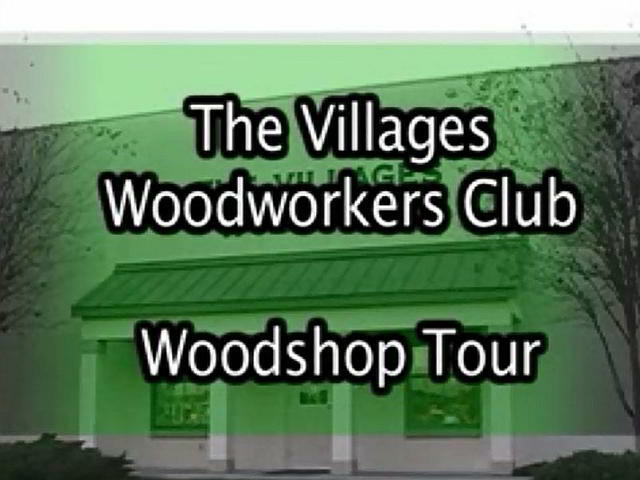 The Villages Woodworkers Club is a fully sanctioned reaction center-like facility located in The Villages Florida. The facility was constructed by The Villages in 2002 by our developer. The facility comprises an 8000 square foot main building with a 1200 square foot environmentally-contolled building for lumber storage. Please take a few minutes and view a tour of our shop facility video to the right. Also we have many other videos describing the dafe operation of our equipment. 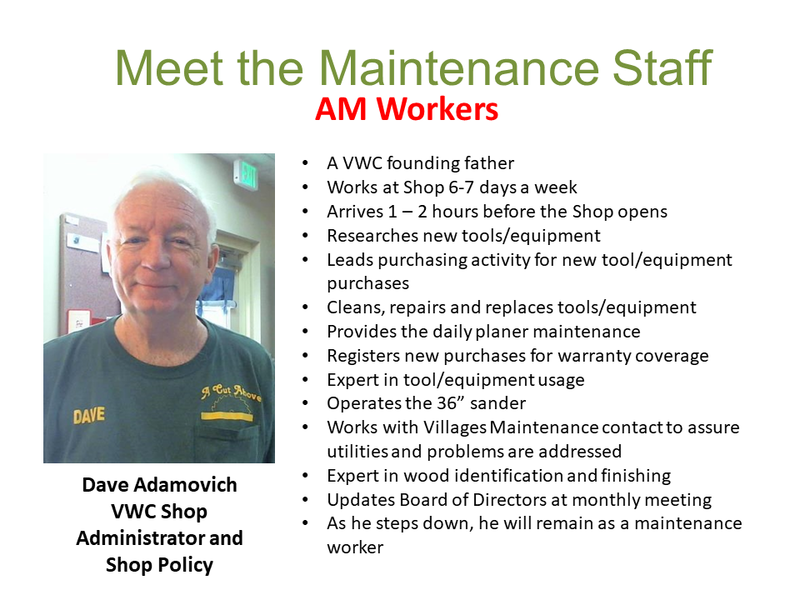 This video shows introduces VWC members who volunteer to keep all of our equipment in fine shape and safe for our use. This is a video of the PowerPoint presentation made by Bob during the November 2017 general meeting.